June 15, 2018: The shared use trail may be closed periodically for 10-30 minutes during Xcel pipe inspection beginning Monday, June 18th. If the trail is closed there will be an onsite safety manager temporarily diverting bike/pedestrian traffic to the road. The trail will be open during the evenings and weekends. Location map available here. July 3, 2017: Construction on Lilydale Phase III is complete. November 29, 2016: Lilydale Road and shared use trail will reopen on Wednesday November 30th. November 17, 2016: Lilydale Road received final lift of asphalt today. Signage, striping and shouldering of the roadway remain. Final seeding will occur once the temperatures are in the 30’s for dormant seeding. Roadway will reopen once final items are completed. Photo available here. November 9, 2016: Base course of asphalt and landscaping installed today. Final pavement lift to be installed Nov. 17th. Anticipate roadway and trail to reopen November 23rd. Photo available here. October 11, 2016: Contractor is completing installation of storm sewer under the roadway. Expecting pavement to be completed late November 2016. Photos of roadway construction are available here. September 29, 2016: Vehicular access to the Lilydale boat launch and Pickerel Lake has reopened. September 22, 2016: Lilydale Road is closed for emergency repair. There is no vehicular access to Pickerel Lake or the Lilydale boat launch at this time. The timeline for reopening is not currently known, but we will provide updates as they are available. An alternative boat launch is available at Hidden Falls Regional Park. September 15, 2016: Contractor will complete storm sewer work this week. Roadway removals will continue week of September 19. Hwy 13 has reopened and roadway detour signage has been adjusted to reflect this route. August 9, 2016: Contractor has begun removals of the old roadway and will install the box culvert Thursday, August 11. Xcel Energy has removed the overhead powerlines. July 20, 2016: Phase III roadway and trail construction has begun. Water Street will be closed to both vehicle and pedestrian access just upstream of the St. Paul Yacht Club for an approximately 1/2 mile section. Pickerel Lake and the Mississippi River boat launch are accessible from the south and St. Paul Yacht Club is accessible from the north. Please see the map below for an alternative bike route. July 11, 2016: Phase III roadway and trail construction will begin Monday, July 18. A portion of the roadway and trail will be closed during construction. Access to Pickerel Lake, Mississippi River boat launch and the Pool and Yacht Club will remain open. March 21, 2016: Presentation to Transportation Board on upcoming Phase III Roadway work within Lilydale Regional Park. April 20, 2016: An overview of the Lilydale Regional Park project was presented to West Side Citizen Organization (WSCO). 2016: Construction documents are currently being developed for Phase III Roadway Improvements in Lilydale Regional Park. The project will be advertised in early May with an anticipated construction start date of July 5, 2016. Construction bids are currently being advertised on the City of Saint Paul portal www.stpaulbids.com. June 11, 2015: Lilydale road and Lilydale Regional Trail are now open for use! April 29, 2015: Lilydale road will be closed Monday, May 4th between the train trestle on the west end and the Lilydale monument below the High Bridge. The contractor will be paving the bike path, paving the roadway, and completing various site elements. Work is anticipated to be completed June 5th. April 17, 2015: Construction activities are underway along the Brickyard Trail. The Brickyard Trail remains CLOSED during construction. March 23, 2015: Construction of Phase II Roadway and Trail improvements is anticipated to resume April 1st . Work will take approximately 4 weeks and will include paving of Lilydale Regional Trail, installation of site amenities, and final lift of pavement along Lilydale Road. A portion of Lilydale Road and Lilydale Regional Trail will be closed during construction. Please follow posted detour routes. February 13, 2015: Wells are currently being capped in Lilydale Regional Park. This project includes the capping of 5 wells located near the entrance to the fossil ground parking lot and 1 well located by the DNR boat launch parking lot entrance. Construction should continue through the week of February 16th 2015. December 30, 2014: Xcel Energy will be trimming trees under the existing transmission lines the week of January 5, 2015. November 25, 2014: Lilydale Road is scheduled to re-open on Monday, December 1, 2014. The portion of Lilydale Regional Trail will remain closed until it is paved in Spring 2015. October 3, 2014: Base course of asphalt has been placed on the roadway . Most of the trees, shrubs and native grasses have been planted. Xcel Energy has begun work to remove overhead power lines and place electrical service underground. Lilydale Road is anticipated to re-open December 2014. Lilydale Regional Trail will remain closed until pavement can be installed. Current estimate for trail reopening is Spring 2015. September 23, 2014: Water and sanitary sewer lines have been put in place as well as culverts and other storm drainage components. September 10, 2014: We are waiting on a piece of information from Xcel Energy to be able to provide a better timeline on when Lilydale Road can reopen. We'll post an update regarding the schedule on Thursday September 11, 2014. April 14, 2014: Bids have been received for the Phase II work and are currently being reviewed. Once a determination has been made, additional updates will be posted. October 21, 2013: Lilydale Road is open. October 2, 2013: Native seeding and planting of trees and shrubs has been completed. The contractor is finishing remaining signage and striping along the roadway. Once these items are in place; Lilydale Road will be open to the public. Anticipated completion date is mid-October 2013. August 21, 2013: Contractor continues to make progress within the park. All trails have been paved as well as the new parking lot and boat launch to Pickerel Lake. The majority of the work should be completed by Labor Day. Native seeding to occur within fall seeding window of September 20th to October 20th. Current anticipated date to reopen Lilydale Road is early October. 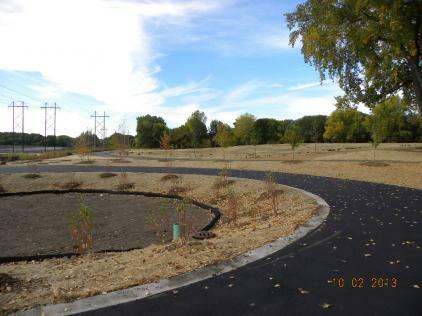 August 8, 2013: The base course of asphalt was installed and most new trail connections have been paved. Remaining construction items include placement of fill, topsoil, seeding, landscaping, and installation of site amenities. The roadway continues to remain closed during construction. July 22, 2013: Lilydale Regional Trail has been cleaned post-flood and is OPEN during construction. July 10, 2013: Flood waters have receded off Lilydale Regional Trail, but the trail will remain closed until it is cleared of debris and silt. Construction continues within the park with sub-base being placed for the new roadway and trails. A portion of the existing roadway is anticipated to be removed this week. June 25, 2013: Lilydale Regional Trail has been closed due to high river levels. Road closure signage has been moved to the east of the Pool and Yacht Club parking lot and west of Saint Paul Yacht Club. The DNR boat launch is also closed. Trail and boat launch will re-open once river levels subside. June 19, 2013: Contractor has completed asbestos removal from the Lilydale Park Dump Site. 5,341 tons of asbestos containing material were removed. Lilydale Road is currently being reclaimed, sub-base for the new roadway is being placed, and stockpiled material from the Marina Demolition Site is being placed to cap the Lilydale Dump Site. May 31, 2013: The contractor has removed 5,309 tons of asbestos and 42 tons of lead from the Lilydale Park Dump site. May 20, 2013: A portion of the Lilydale Regional Trail was completed and is open for use during construction. The trail is 12' wide and offers views of the Mississippi River. Contractor is currently removing asbestos from the Lilydale Dump Site for base of new roadway. May 14, 2013: Lilydale Regional Trail will be re-routed beginning Thursday, May 16th to Monday, May 20th. Please follow trail detour signage. A portion of Lilydale Road continues to be closed during construction. April 30, 2013: A portion of Lilydale Road was closed today. Road closure signs were installed at the RR trestle bridge and DNR boat launch; preventing thru access along Lilydale Road. The DNR boat launch is accessible from southwest end of Lilydale Park. Trail access through Lilydale Regional Park will remain open throughout construction. Anticipated construction completion date is mid-August 2013. April 16, 2013: Phase 1 Roadway, Trail, and Environmental Clean Up construction has been delayed due to weather. The contractor plans to begin construction the week of April 22, 2013. April 9, 2013: Anticipated construction start date for Phase 1 Roadway, Trail, and Environmental Clean Up Work in Lilydale Regional Park is Monday, April 15, 2013. Construction will last approximately 120 days with an anticipated completion date of mid-August 2013. The middle portion of Lilydale Road will be closed during construction, but the regional trail and DNR boat launch will remain open during construction. In March 2012, the implementation of projects outlined in the approved Lilydale Regional Park Master Plan Amendment was put on hold in response to community concerns about potential environmental impacts. To help dispel any perceptions that significant environmental impacts would occur as a result of the master plan, the Parks and Recreation Department completed a discretionary Environmental Assessment Worksheet (EAW). The determination of the EAW was that no additional environmental impacts are anticipated from the project and that the proposed project will restore the presently environmentally degraded condition of the park to a natural resource-based park. Construction of the roadway is now proceeding as planned. Current work in Lilydale includes the construction of the gateway, completion of construction documents for Phase I, and sealing of uncapped wells. Gateway construction is estimated to be completed fall 2012. Construction documents will be bid January 2013 with a spring 2013 construction start date. Unsealed wells will be capped the week of October 8, 2012. This work includes the capping of two wells at the entrance to the fossil ground parking lot. These unsealed wells are believed to be the source of water that causes ice buildup in the winter months along Lilydale Road. Xcel Energy will be completing tree trimming under the existing power lines along Water Street in Lilydale Regional Park. This work is part of routine Maintence. This work is anticipated to occur late August/early September. All requirements for environmental review of the project have been met. The EAW process for the project has generated information that is adequate to determine whether the project has potential for significant environmental effects. Areas where potential environmental affects have been identified will be addressed during the detailed permit review processes for the project. Mitigation of environmental effects will be provided where impacts are expected to result from project construction operation. Mitigative measures are incorporated into the project design and have been or will be coordinated with the appropriate reviewing agency during the permitting process. Based on the criteria under Minnesota R. Subpt. 4410.1700, the proposed project does not have the potential for significant environmental effects. The EAW and the responses to comments received from the EAW for the proposed improvements pursuant to the 2010 Lilydale Regional Park Master Plan Amendment are adequate and an Environmental Impact Statement is not required for the project. 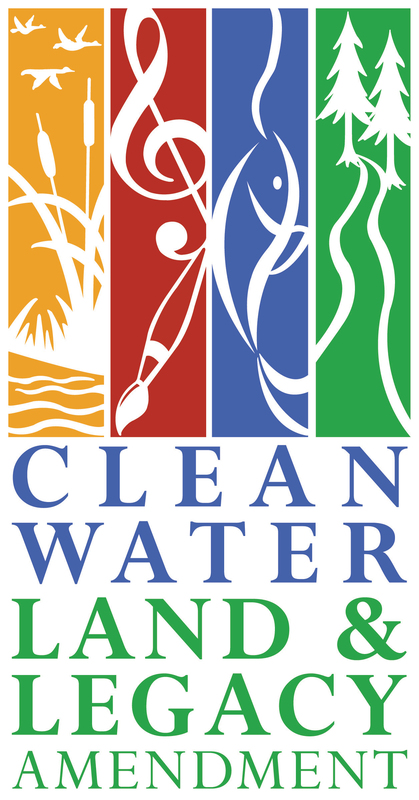 On May 21, 2012 the State of Minnesota contacted the City of Saint Paul's Department of Parks and Recreation, and suggested that as part of the Metropolitan Parks and Open Space System we apply for the Lessard-Sams Outdoor Heritage Council (LSHOC) grant for fiscal year 2014. A LSOHC grant proposal will be submitted for the entire Metro Parks System, and will include the City of St. Paul's request for additional funding for the re-vegetation of native habitat associated with the first phase of roadway realignment in Lilydale Regional Park. The $500,000 requested for Lilydale Regional Park would help to fund successful habitat enhancement and native plant restoration after roadway and trail construction is completed. The grant submittal deadline to Metropolitan Council is May 31, 2012. Due to this short time frame, and the potential this grant would have to help realize the Lilydale Regional Park Master Plan, Parks and Recreation is moving forward with the application. At the next opportunity for community dialogue for the Lilydale Master Plan, we will set aside time to review and discuss this opportunity and answer related questions. The project will also target residents in the sub-watershed of Ivy Falls and Pickerel Lake by including a survey assessing residents knowledge of water quality issues and community conversations with the public to gain information on how the public can become part of the solution to water quality issues. On Friday, May 4, Parks and Recreation Design staff placed stakes along the proposed roadway to allow for field review of the proposed roadway alignment within Lilydale Regional Park. These stakes were not placed for construction purposes, but rather, allowed project designers to walk the proposed roadway and make minor adjustments based on existing site conditions. A project update and Phase 1 Implementation Map describing current and future efforts in the park were posted May 7, 2012 under Announcements. Please refer to these documents for additional project information. Response Action Implementation Report was submitted in Jan. 2012, and is now being reviewed by the Minnesota Pollution Control Agency. This document will be made available once it has been reviewed by the MPCA. A conceptual trail design was provided for Task Force comment. The group met for the last time on the roadway design, gateway design and shelter style. City Staff and the Consultant presented a summary of the process to date including input and information gathered. The consultant offered a recommendation to start discussion. More than 65 people attended the Open House on April 5th to learn about the plans for the park and offer their comments. The comments from the open house, together with the Community Task Force comments, Operations and Maintenance considerations, programming needs and cost estimates will all be factored into the final choice for the design of the shelter, gateway, road, bridge and gathering space. The Lilydale Advisory Task Force convened at the Wellstone Center on March 1st to review revised shelter designs, and concepts for the bridge, gateway elements and roadway. The next meeting will be a public open house to get comment from a wider group. The information for the Open House will be posted as soon as we have set the date. The January Lilydale Advisory Task Force convened at the Wellstone Center to review revised roadway and shelter designs. The next meeting will be a public open house to get comment from a wider group. The information for the Open House will be posted as soon as we have set the date. A Lilydale Design Advisory Task Force meeting was held to provide input on preliminary roadway, shelter, and public art opportunities in Lilydale Regional Park. Meeting notes and presentation materials are available for review below. A Lilydale Regional Park Design Advisory Task Force meeting to discuss goals and objectives for the design of a picnic shelter and roadway in Lilydale Regional Park was held on September 28th . Meeting notes and a summary of goals and objectives discussed can be viewed below. The extensive recycling/reuse project addressing environmental cleanup sites in Lilydale Regional Park which began in October is now nearly complete. These cleanup efforts start with the removal of vegetation that has grown through the debris pile left in Lilydale Regional Park when the old town of Lilydale was relocated out of the flood plain in the late 70's. A dozen larger elm and box elder trees were harvested by a local company, which transforms the logs into usable building materials. The remaining trees will be chipped and sold to District Energy for energy production. Once the vegetation was removed, the debris piles were sorted for reuse. Existing concrete, rubble, bituminous and stone was crushed and is being stockpiled on site for future roadway and picnic shelter construction within the park. Contaminated material encountered has been properly handled (as per MPCA requirements) and most has now been removed from the park with the exception of a couple of barrels which may contain lead paint. Those will be disposed of soon. There will be continuing environmental clean up efforts necessary as design and construction of the elements identified in the Lilydale Regional Park Master Plan occur. It is important for us to remind people that this is a cleanup/reuse project that will benefit Lilydale Regional Park greatly by restoring a portion of the park that is currently contaminated and unusable and will be a huge step to bring the park back toward a more natural condition.